Are you inspired by “The Greatest Showman” and can’t wait to put on your top hat? We have an event for you! The Vancouver Island Construction Association’s Under-40 network is hosting Under the Big Top, a charity casino event to raise funds for the Help Fill A Dream Foundation, Feb. 23 at the Delta Ocean Pointe Resort. Now in its fifth year, the network hopes to exceed previous years’ fundraising goals — and surpass the $10,000 raised in 2017. 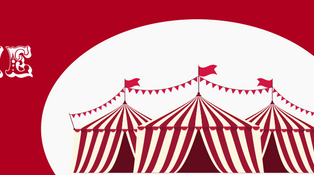 The theme for this year’s event is the circus, with blackjack, roulette, poker tables and wheels of fortune. Upon entering, each guest will be handed “funny money” to play with — while using their own to bid on the silent-auction prizes and the much-anticipated live auction that caps off the night. Hot appetizers will be served while guests try their hand at the ring toss and work the room. Proceeds from ticket sales, games and auctions go to support the foundation.